That is quite right, ladies and gentlemen, proud inhabitants of “The Ivory Tower”. Come Thursday February 14, the Ivories will share the stage with a living legend. 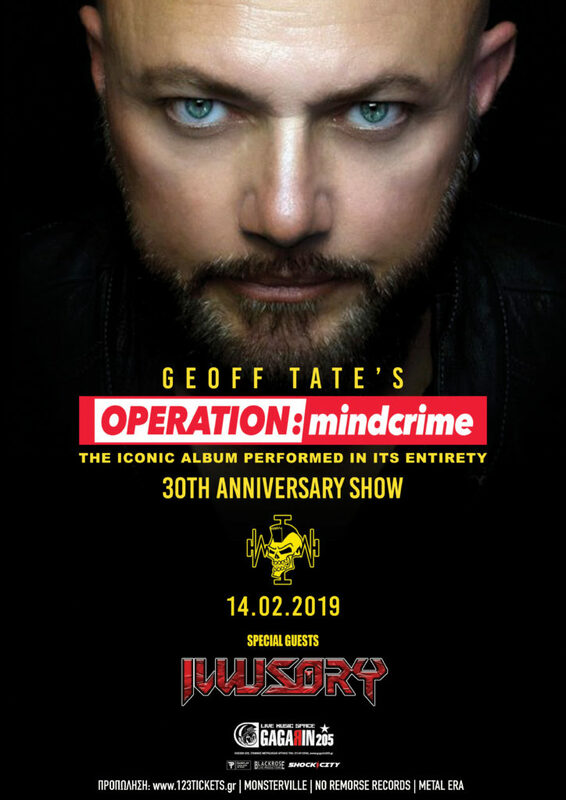 The boys will be the opening act for Geoff Tate’s Operation: Mindcrime. Whilst GT will perform the entire Livecrime and some more at Gagarin205 Live Music Space, ILLUSORY will come out as the warm up bulldozer for the fans, the spectators, the crowd. The Ivories are tremendously overwhelmed, totally thrilled and deeply excited and these emotions will fill up their technique and unique musical appearance on stage. Maybe the lovers’ momentum but that Thursday night, Athens will simply become a power mad town. Stick around, be alert and come to the show. We will open for the one and only Geoff Tate! Thank you so much for your support, Shine On!